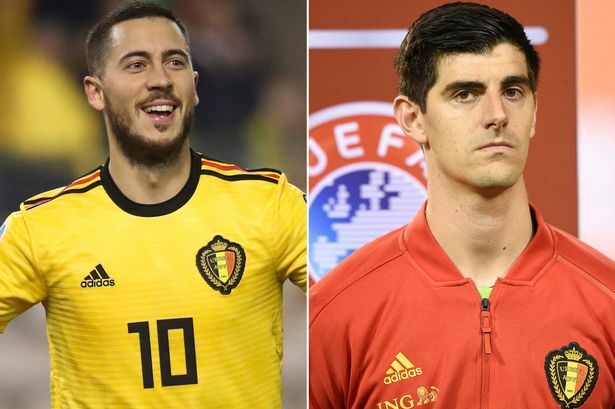 Home / sports news / Courtois: "Hazard told me he would personally like to play for Real Madrid"
Real Madrid's Belgian goalkeeper, Thibaut Courtois, has given an interview to El Transistor where he's talked about several subjects, starting from his return in Spain after four years spent at Chelsea: "I have nice memories and a particular affection for the Colchoneros and the fans. Going to Atlético was one of the best decisions I've taken in my life. I've improved a lot as a goalkeeper and had a great relationship with Simeone, he's had a huge impact on my career. I know there's a big rivalry between Madrid and Atlético. What made me angry during the derby is they threw a bottle at me, it came very close and could have hurt me. Differences between Real and Atlético? There's more pressure in Madrid, the fans are more exigent and I like it. You can't compare both stadiums. If you see Valdebebas though, you understand how big Real is. It's the best I've ever seen". A good friend of his could come join him soon, Eden Hazard: "He's one of my best friends in football. I don't know if he'll sign for Real Madrid, I don't even know which clubs are interested in him. In my opinion, he's one of the best in the world and I'd like him to come here. Does he want to come here? Yes".